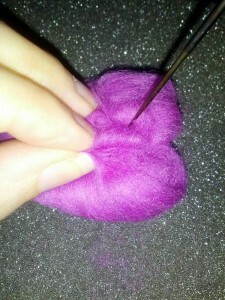 Needle felting involves repeatedly stabbing a piece of wool with a barbed needle until it has felted. 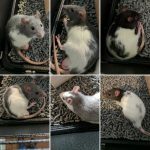 It is quite fun and very easy. Beads are a great beginner project as they are small yet simple. Today I’m going to show you how to make some. Felting needles are completely different to regular needles. They are barbed, which means they have tiny sticky out bits along the shaft. These barbs are essential to the felting process. They catch on the fibres as you stab the wool, tucking them into each other and locking them together, creating a tightly knotted, dense felt from your light and airy fibre. 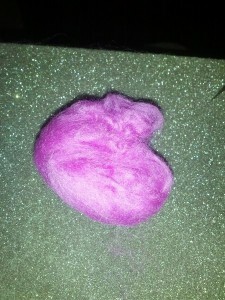 You can obtain felting needles from good craft stores or on the internet. I got mine from Texere. Felting needles come in various gauges from coarse ones which felt quickly but messily, to fine finishing needles for detail work. For this tutorial, a general purpose 32 gauge needle will be fine. The foam block is also very important, it protects your knees/table/whatever your felting on from being stabbed by the felting needle, protects the needle from hitting your table/something hard which would cause it to snap, and gives you somewhere to keep the needle if you need to take a break. You can find foam blocks almost anywhere that sells felting needles. Break your fibre into evenly sized strips. Mine were 30cm long and about 4 cm wide, which resulted in 4cm beads. You can use bigger or smaller pieces to get different sized beads. I wouldn’t recommend trying anything too small, you might stab your fingers (ouch! ), or too large, it’ll take longer. It’s easier to make all of your strips at the same time so that you can check that they are even. If you tear them as you go, you can easily end up with a random selection of bead sizes. 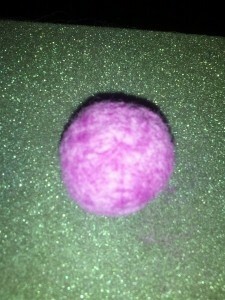 Roll your fibre into a ball shape, folding in the sides as you go. 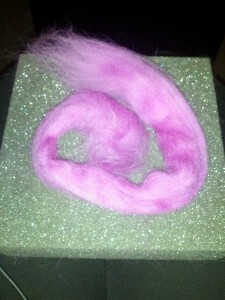 Try to roll tightly and neatly, it will make it easier to keep a good shape when you start felting. When you reach the end of your strip of fibre, you’re ready to begin felting. Hold the ball of fibre carefully with your fingers well away from the area you intend to felt. Trust me, stabbing yourself with a felting needle stings. Fold any loose, wispy fibres in under the end of the strip. 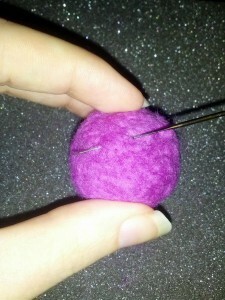 Take your felting needle, and gently but firmly stab right through the end and into the ball of fibre. Repeat this a few times until the end is attached. You should now have a loose ball of fibre with a tight, messy looking join where you felted the end in, looking something like this. Turn the bead around and feel for the loosest section. Use your needle to tuck in any stray fibres and stab the area a few times to tighten it up. 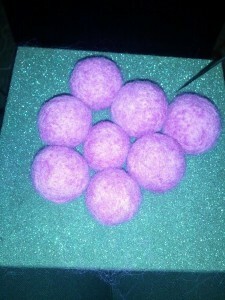 It helps to squash the ball as you felt at this stage, so the fibres are held more closely together. 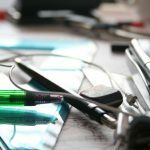 You may find it takes several stabs before the loose parts start to felt and become tighter and more dense. Keep turning the bead and felting the loosest parts. 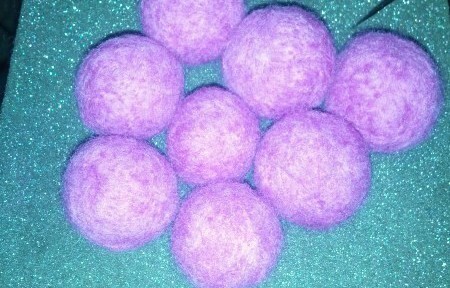 If your bead becomes misshapen, concentrate on felting any bits that stick out so they tighten and become smaller. 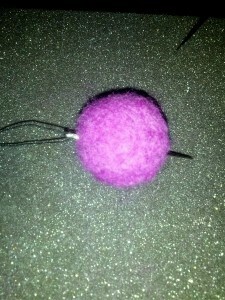 The more felted your bead becomes, the easier it is to see which bits need more work. I find it helpful to roll the bead between my hands every now and then to puff it back up and check the shape. You can also feel if any bits are still too loose. After a while your bead will start to feel quite firm and solid. It will probably look quite rough and be full of stab holes. If you’re happy with the shape and the density, you’re ready to move on to finishing. Once you’re happy with the size, shape and density of your bead, you are ready to finish it off by tidying up the surface. To do this, instead of stabbing the needle through the bead towards its centre, stab it gently across the surface of the bead. You will find that this pulls some of the fibres back out of the bead and tucks them in further along the surface. You can use this method to cover the holes left by the felting needle, neaten up any bumpy areas, tuck in stray fibres and give your bead a softer appearance. When you have neatened the entire surface of the bead, it is finished. You can move on to your next strip of fibre and make another one. When you have completed a set of beads, your final step is to string them together. I used elastic thread to make a bracelet with my beads, but you can also use regular cotton thread. You will need to use a needle that is large enough to thread your elastic through, and I find larger needles more comfortable to push through the bead. 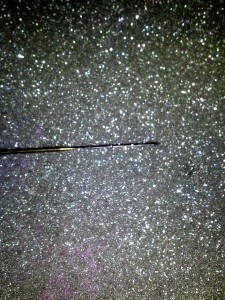 Thread your needle, and push it right through the middle of your bead. Even tightly felted beads should slip onto the needle easily enough, and you will be able to push it all the way through with a little effort. When you have strung all your beads, tie a good strong knot in your thread, trim the ends, and slide the knot into the middle of one of the beads to hide it. It should go through as easily as the needle did. The hardest part for me was not pulling right out the other side of the bead. 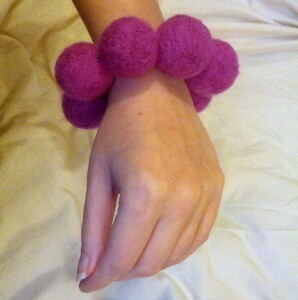 Well done, you’ve just successfully needle felted your own piece of beaded jewellery! Here’s the bracelet I made. I’d love to see what you made, please post a link to your finished items in the comments.